Our AutoCAD Electrical course focuses on providing a thorough knowledge on AutoCAD for electrical engineers with intensive training regarding nomenclature, use of symbols (from various libraries), generation and insertion of PLC layout modules and management of PLC database files. We also seal to teach about generating bill of materials, reporting, converting spreadsheets to PLC I/o drawings, component tagging and wire numbering. It further facilitates error-checks and schematic designing through cinematic-quality rendering, three-dimension animation and panel layout model presented visually. AutoCAD Electrical software is used intensively in various electrical and electronic based industries. 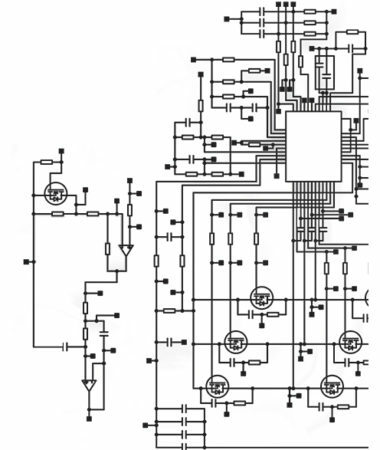 It helps in designing electrical symbols, drawing ordering lists, placing relay coils and contractors, drawing necessary schematic diagrams, etc. Overall the software helps increase design efficiency and productivity of Control Designers. It helps reducing cost as it reduces the overall time of production and distribution. It also helps remove design errors through real-time diagnostics of its error-checking feature. Its reporting feature also helps provide accurate data to various members of your organisation in an organised and proficient manner. Wizcrafter, Enrolls the best faculty and seeks to provide robust education and expertise in AutoCAD Electrical to its students. We are officially licensed by Autodesk, USA to provide training and authentic certificate upon completion of this course with us. Our course provides a life-skill and competency for future employability. This course can be learnt from a beginner to expert level depending on your requirement. We offer to tailor it in accordance with your needs and to provide you the best opportunities. Goods dependents on electrical circuits are not limited to the electronic or electrical industry anymore. With digitization of almost every product in every industry there is a heavy influence of electrical circuits and therefore control and manipulation of these schematics to achieve highest productivity requires well trained AutoCAD Electrical professionals. Due to constant technological advancements, students equipped with our course can find themselves employed as AutoCAD Electrical Designer in various industries from aerospace, automobile, construction to even consumer goods, telecom and even more in the future. This course is recommended for people well versed in electrical terminology and especially ones that have working knowledge of AutoCAD software. Professionals with a background in control system designing and electrical domain are keenly observed to be benefited by it. However, since Wizcrafter caters to students from all walks of life, we provide education on the basis of prior experience. So, if you don’t have the recommended background, we can provide in-depth knowledge and instruction based on your current knowledge base and requirement.